The History of College Insider, Inc.
CollegeInsider.com has been covering online sports almost as long as online sports coverage has existed. CI migrated from a print format to the web in 1996 and the following year the first Coaches Columns appeared on the site. These columns gave fans the opportunity to hear from a host of Division I coaches in a more relaxed, free form environment and were an immediate hit. Later that same year, CI started the first Mid-Major Top 25 basketball poll devoted exclusively to schools outside of the "high major" realm. SI senior writer John O’Keefe wrote about the poll in his column in November of 2001, highlighting what a unique niche the Mid-Major Top 25 filled in the college hoops world. The poll, which has since been trademarked, currently has a voting panel that features 30 active Division I head coaches. 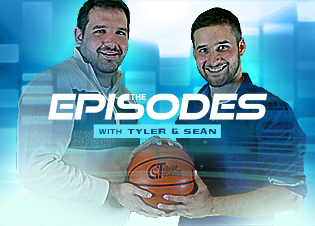 In 2009, CI founders Joe Dwyer and Angela Lento decided to take the bold step of creating a postseason tournament devoted exclusively to deserving mid-major programs. The CollegeInsider.com Postseason Tournament was born that year, beginning as a 16-team event with Old Dominion capturing the inaugural title. The event expanded to 24 teams in 2011 and is now a 32-team event that still extends invitations only to schools residing outside of the high major conferences. Response to the tournament has been enthusiastic since its inception, with attendance having doubled every year. In seven years, over 100 different NCAA Division I schools have participated in the CIT, which represents nearly one-third of eligible D-I schools. The first four Tournaments were broadcast by Fox College Sports, with the last three broadcast in High-Def on CBS Sports Network. 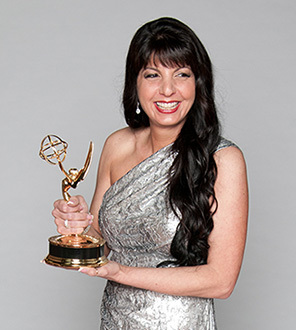 Angela Lento poses with the Emmy Award after the 2013 event in New York. CollegeInsider.com continued its tradition of getting behind the scenes by introducing All-Access features. Programs such as Butler lifted the veil and provided a glimpse into their inner workings while CI cameras took it all in. 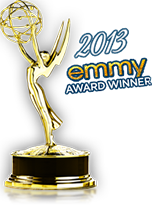 The 2012-13 All-Access features highlighting Iona College, LIU-Brooklyn and Manhattan College won a 2013 New York Emmy Award in the Sports Coverage: Sportscast/Series category, winning over outlets such as MSG and SNY. In 2014 CollegeInsider.com was nominated for its second Emmy in as many years for "Anatomy of a Game Winning Shot." 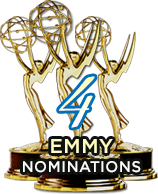 CollegeInsider.com was the only independent, non-television entity among the 211 total Emmy nominees. CollegeInsider.com received a third Emmy Nomination in 2014 and a fourth Emmy Nomination in 2015. CI has also shown the lighter side of the coaching profession, with The Runway to the Fashionable Four being a prime example. The annual competition was started in 1998 to bring attention to coaches and their sideline styles. With active participation from a host of the game's most prominent leaders, the Runway to the Fashionable Four has become a big hit with fans. It culminates every March in a bracketed competition to crown the sport's best dressed head and assistant coaches. Shots from the Heart was created in 2010 as a means of contributing to the fight against heart disease. The season-long free throw shooting event has included some of the biggest names in coaching. The charity competition pays tribute to the late Skip Prosser, who succumbed to a massive heart attack in 2007. Over the years, CI has consistently provided some of the most compelling print material on the Web, helping to bring fans of college hoops closer to the game they love. 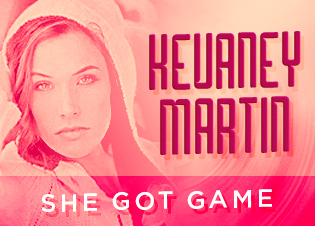 The site has continued to evolve, providing even greater access to the game across a host of platforms. Joe Dwyer and Angela Lento brought the College Insider website online in 1996.